A picture is worth 1,000 words- especially when it comes to nature’s beauty. The competition was open to all photos taken in the Upper Tippecanoe River watershed; an area that includes over 60 lakes spanning from Crooked Lake in Whitley County to the Tippecanoe River south of Warsaw. 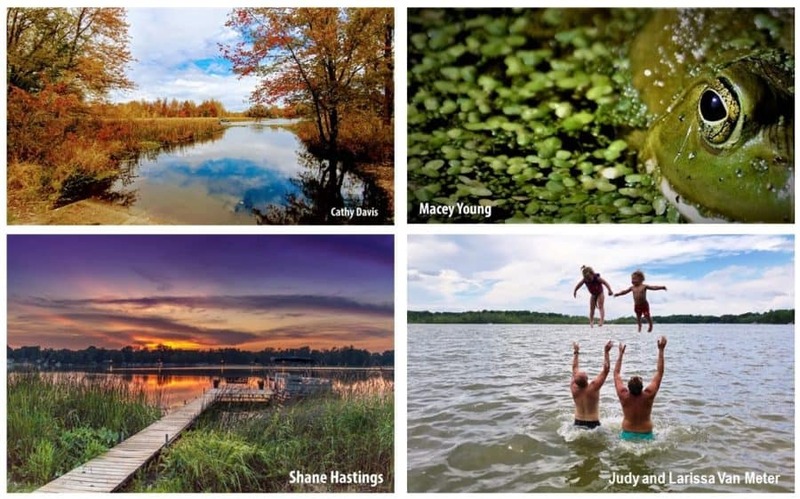 So, without further ado, here are the winners of the 2018 “Picture your Watershed” photo contest. The Wet n’ Wild category was very close. But Macey Young’s “Two Seconds” outleapt the other pictures! In the Lovin’ the Lakes category, “Tot Toss” by Larissa Phillips won over the judge’s hearts and secured this category for the win! Cathy Davis accomplished what many have tried, and failed to do. Catching all of “Fall Splendor” with amazing talent and winning the Nature’s Studio category with her photo on Loon Lake!